Tree Service Belmont, CA | Econo Tree Service, Inc.
Econo Tree Service provides professional tree care to surrounding communities including Belmont, California. In fact, considering Belmont is just ten minutes away from our home base, it is one of the easiest communities we can service. In addition to being nearby Redwood City, Belmont is a unique coastal city with 14 developed parks on 31 acres. The community has many neighborhoods, mostly with two word names including Bell Mont, Belmont Heights, Belmont Woods, California Cottages, Downtown Belmont, Plateau-Skymont, Sterling Downs and Western Hills. Econo Tree Service also provides tree care service to the neighborhoods of Carlmont, Central, Cipriani, Farallon, Hallmark and Homeview. 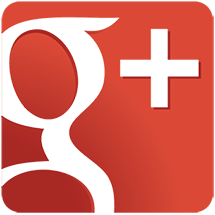 To find our more call or e-mail us today for a free estimate on any of our many services. 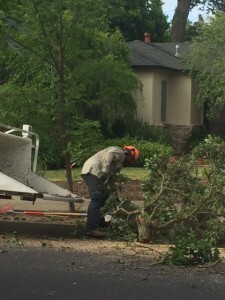 Tree removal is typically the final option in dealing with some tree care issues. In the case of disease or pest infestation, removal is often the best solution in order to save the health of other nearby trees. Cosmetics are also another factor that may result in the removal of an unwanted or poorly located tree. Our Certified Arborists can assess your specific situation and provide the advice you need to make an informed decision. One of the best ways to keep a healthy tree strong and growing beautifully is through pruning. Tree pruning is essential in keeping trees from growing too big and assists with the cosmetic look of your yard. There is also a correct time during the growth cycle of a tree to embark on a pruning program. The Certified Arborists at Econo Tree Service can advise you on this and provide you with expert pruning service just by calling or e-mailing for information today. A stump in the middle of your yard or where you want to put a driveway is an obstacle. We have just the tool to not only remove that old stump but it will erase any evidence of it ever existing. Stump grinding requires a special tool called a stump grinder which an operator uses to chip away at a stump. The grinder produces wood chips and mulch and can take a stump down to below ground level. The wood chips and mulch can be recycled back into your yard or garden. Call or e-mail us at Econo Tree Service today for details on our stump grinding service. Healthy trees can come down with issues that threaten their longevity. Often these problems can be the result of either a pest infestation of disease infection. Econo Tree Services has Certified Arborists who can examine a tree and diagnose the problem. They can also offer suggestions on how to best treat the situation and review various remedies. Established by Certified Arborist Henry Kramer over 25 years ago, Econo Tree Service is based in Redwood City, California. We serve customers in the Peninsula from Millbrae to Santa Clara including Belmont. As we cover a large area, our staff is fully trained and knowledgeable on all local, regional and national bylaws and tree service guidelines. This also includes a full understanding of the Belmont Tree Ordinance. For your free estimate on any of our tree services in Belmont, California, just call or e-mail us today at Econo Tree Service. We look forward to having you as a customer!